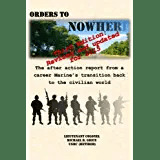 This entry was posted in Military Transition, Transition Posts and tagged EAS, Employment, Job Interview, Job Seeking, military, Resume, Retirement, Retiring, transition. Bookmark the permalink. Fair enough, and you’re right – I left out that bit on purpose, but thanks for bringing it in!